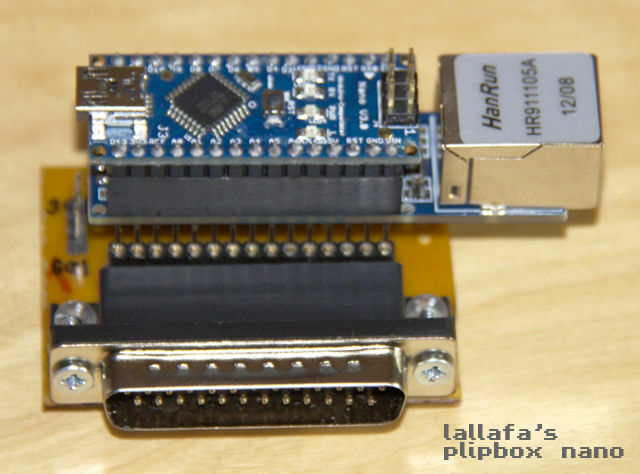 Hardware used to build a plipbox device. 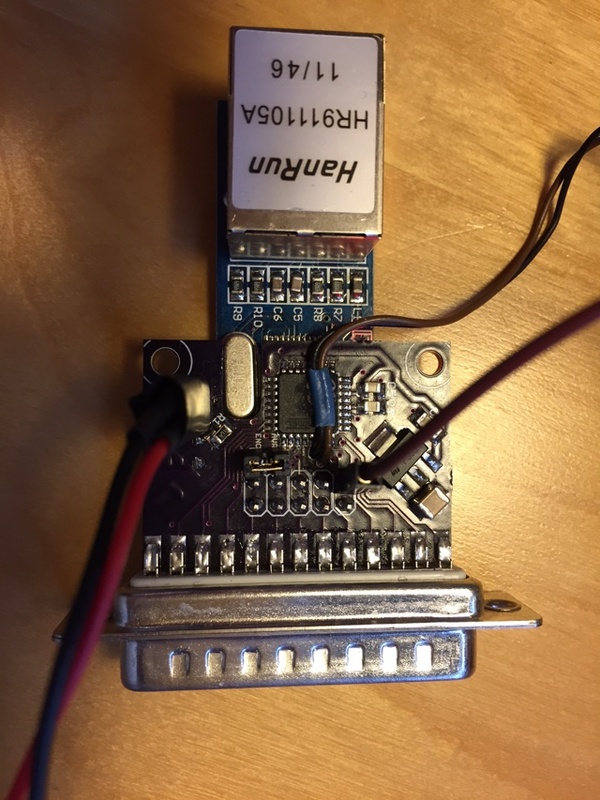 See the hardware page on GitHub for details. 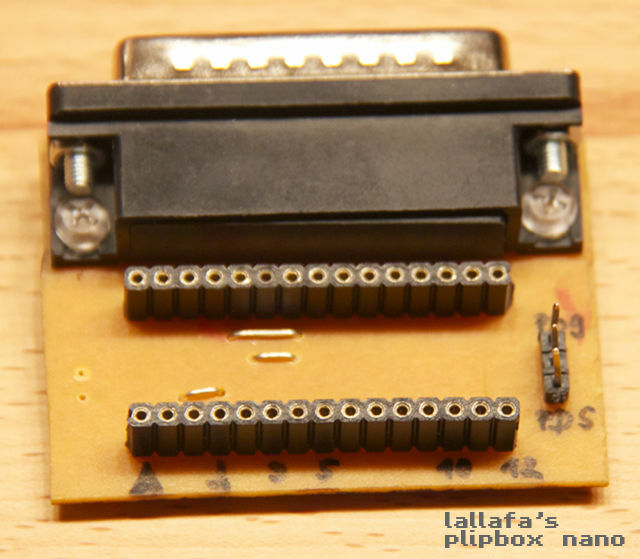 The long pin headers of the Ethernet shield work well here as they raise the Ethernet connector a little bit so it does not obscure the Amiga’s serial port. 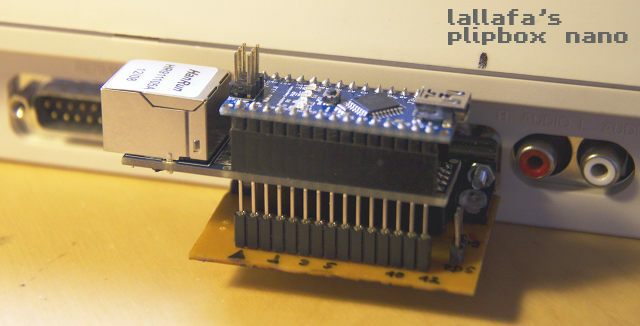 The base board is very simple: it routes the parallel port lines from the Ethernet shield pins to the Amiga’s parallel port connector. 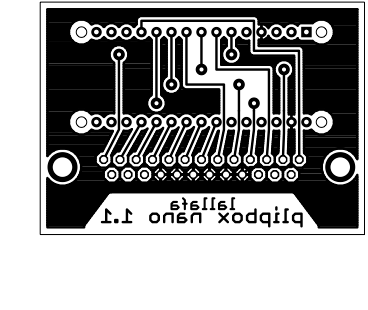 Note: the PCB is single layer but you need to add four parallel wires to connect the vias between the Ethernet headers. 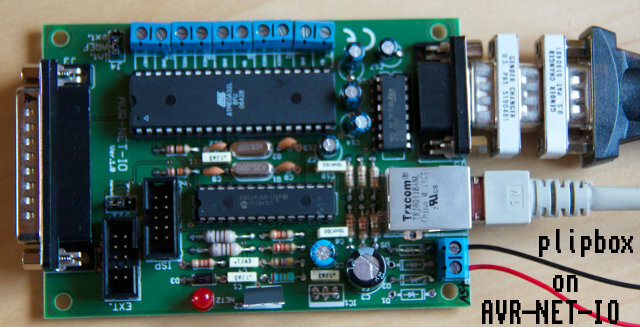 Here are some shots of the v1.0 base board prototype. 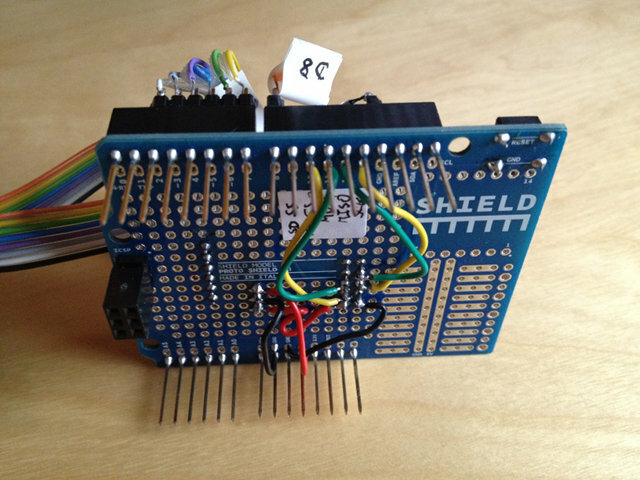 Note: the wires fixed some issues in v1.0 and are corrected in v1.1 above. Also the jumper on the left side is obsolete and was removed. 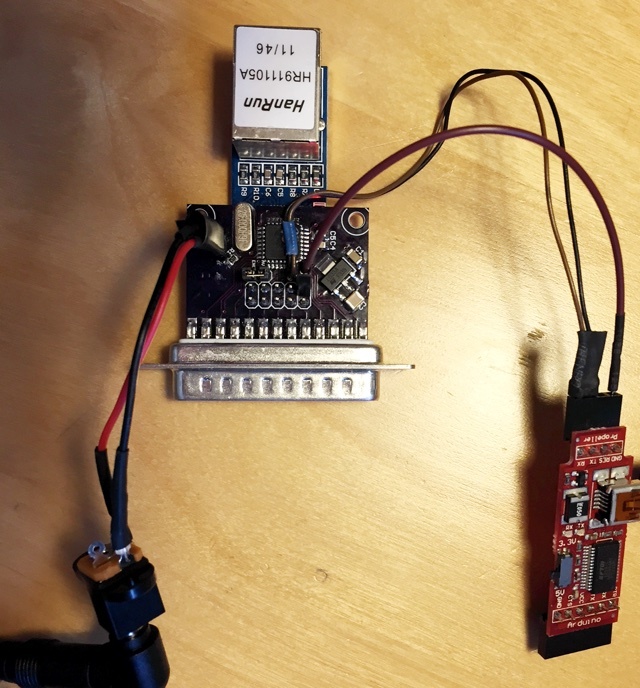 The AVR-NET-IO board with attached USB-Serial Adapter (and some gender changers to make it possible to attach the serial adapter), connected Ethernet and the power supply with 5V (This is the modified power supply that replaces the 9V connector). 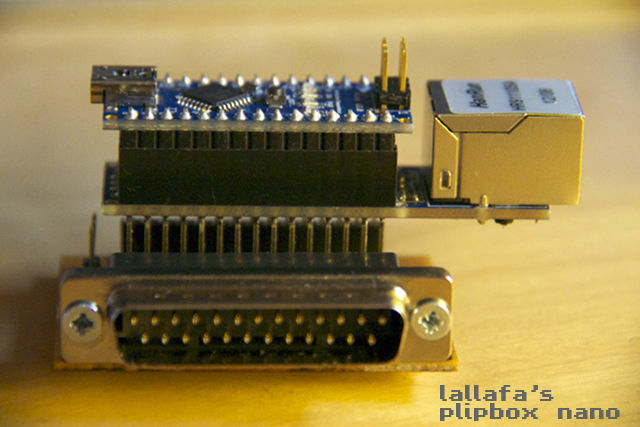 Please note it is essential to power the board with external power as the parallel port is not capable to do so. 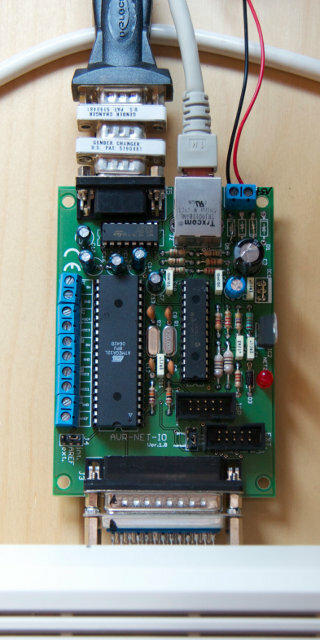 The AVR-NET-IO board connected to my development machine, an Amiga 1200. 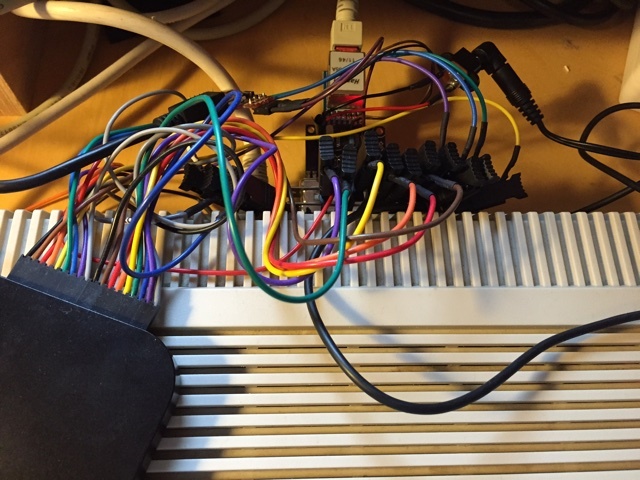 I build a small DB25 connector to make sure only the actually used lines are connected to the Amiga (and have access to the pins for debugging with a scope). This image shows how to add the missing strobe wire. 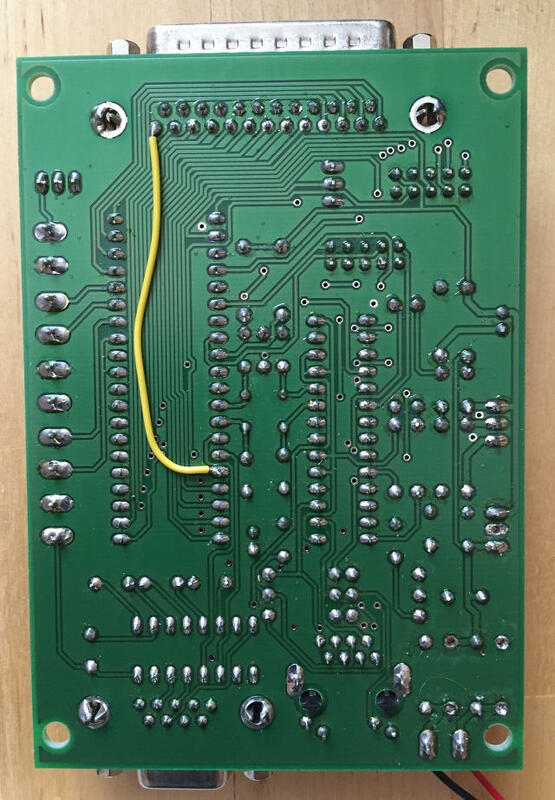 User crasbe of the german Amiga Forum a1k.org has created his own board with a very compact layout. 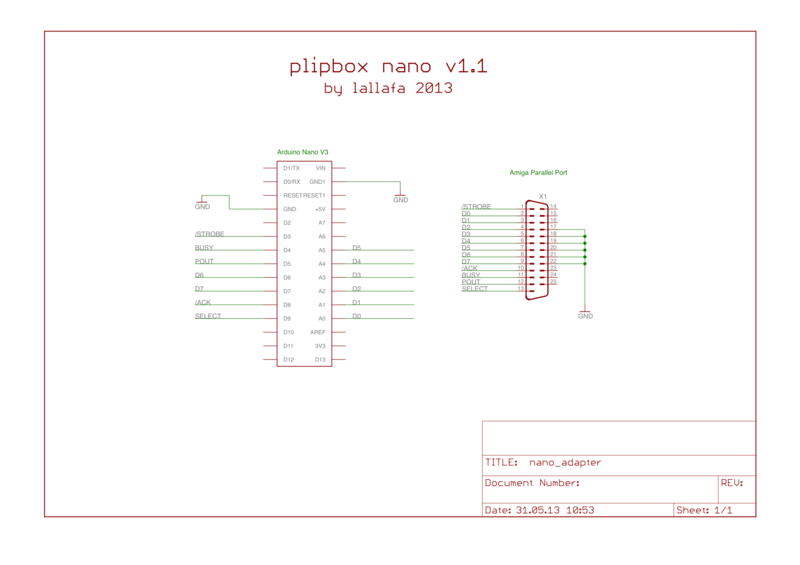 Its fully compatible with the plipbox nano. See a1k.org Post for details. crasbe was so kind and donated me a Rev.2 board! Good to see the Amiga online. I see that you already built that box! Would you like to reimplement your soft on a dedicated board? Can you elaborate more on how the signaling works? The 8 bit bus is easy to understand but what are the function of /STROBE /ACK POUT SELECT and BUSY? I built the whole thing. Because my board is using a derivate of the enc clock, it runs at 12,5MHz (25MHz/2). I rebuilt the firmware accordingly. My usart was set to 19200 for convenient purpose. I used the 0.2 firmware. I’m able to see the serial prompt. I put the network side in DHCP. The PLIP side is as standard: (Amiga) 192.168.55.1 and .2 (PLIP). When I power-up the Amiga and the AmiTCP boot disk finished booting, I get a plip online message. I also obtain a valid IP from DHCP. Then, when I issue a ping to a network address, I get this message: plip(rx): 67 but no answer. I was able to make it run on my Amiga 2000 but not on my Amiga 4000. The errors in my last comment still bugging me. 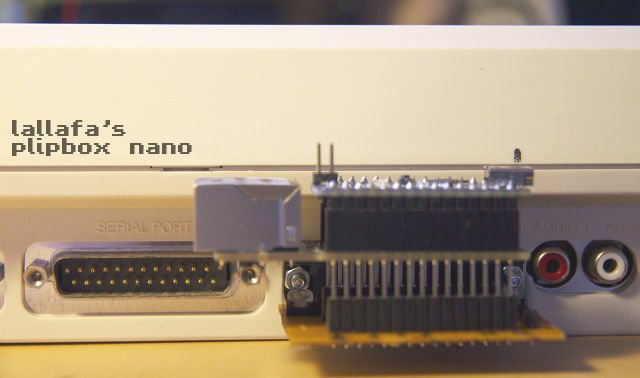 Is the parallel port of the Amiga 4000 different? Hey, your proto looks great! Maybe on the A4000 some timing issues occur due to the faster processor? 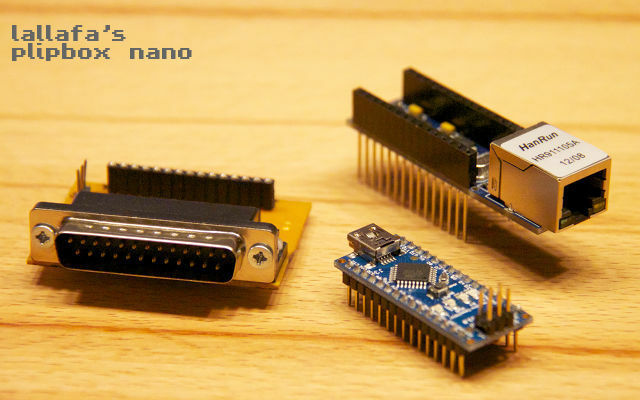 Well, for the life of me I can´t seem to find any arduino 2009 clones on dx.com that have 32K, all have 16K. 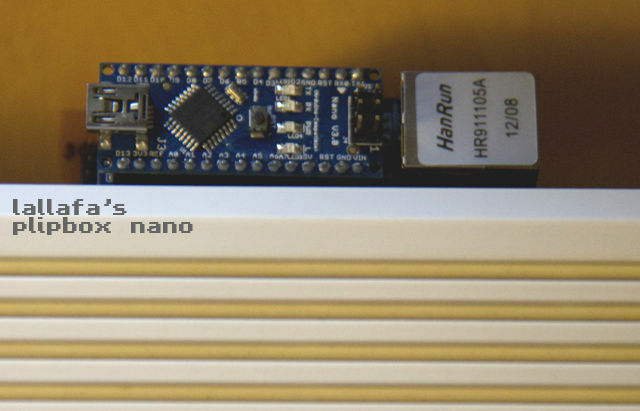 I wonder if replacing the 16K for 32K flash memory is an easy enough task for a novice. 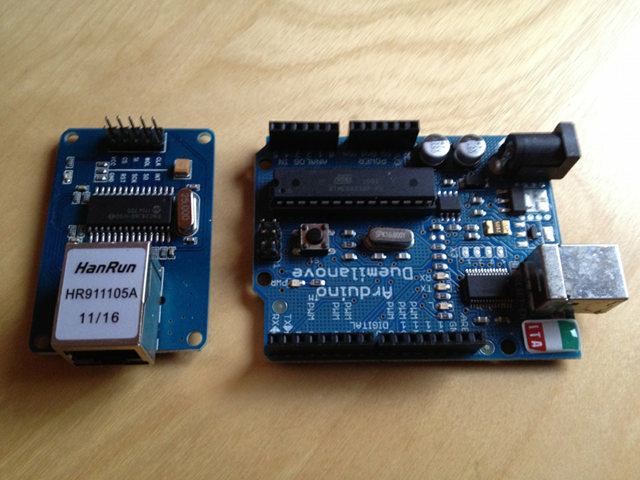 @Max You can use Arduino Uno R3 – tested, works without issues. 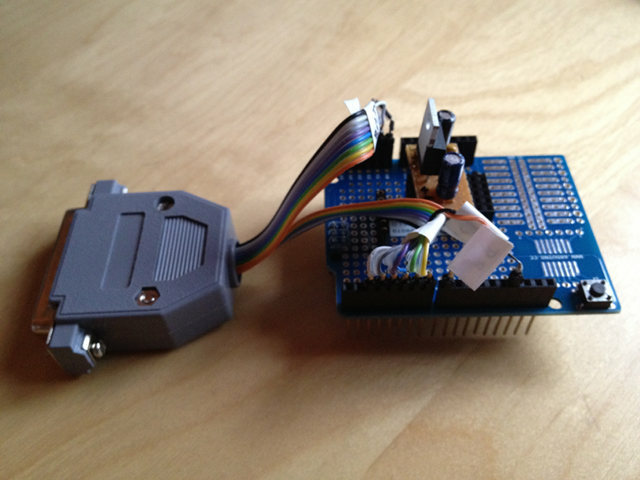 Why dont’t you use the 5V from the parallel port to power your hardware? 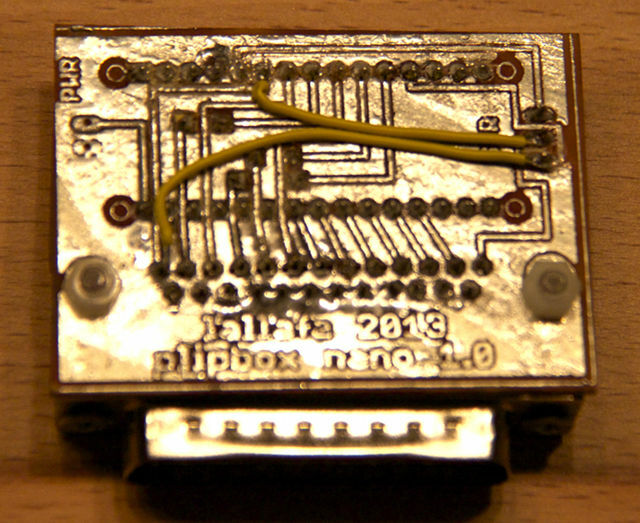 It’s worth noting that the AVR doesn’t fit easily in the A500+ parallel port. The Amiga power plug gets in the way and requires some bending. On the AVR, can you please give instructions as to what wire to solder, and how exactly to connect the power? The amiga parallel port can only provide around 10mA of current while the circuit with ethernet adapter requires more than 300mA! So an external power supply is required (if using an Amiga != A1000 of course).